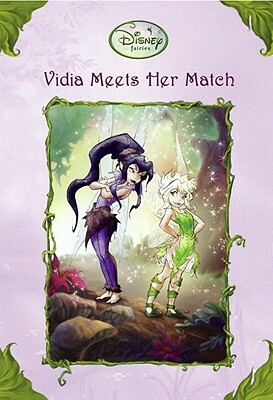 This fast-paced story of Vidia and Wisp's rivalry is the 19th book in our popular Disney Fairies chapter book series, which features Tinker Bell's adventures in Never Land with her fairy friends. No fairy in Pixie Hollow is faster than Vidia. Then a new fast-flying fairy arrives a very fast fast-flying fairy. Wisp loves speed more than anything . . . except maybe for danger. Right away, Vidia challenges Wisp to race. At first, Vidia wins easily. But Wisp keeps getting faster, and more fearless. She comes closer and closer to winning. And while Vidia finds the races thrilling, each one is riskier than the last. Someone might get hurt Is it time for Vidia to put on the brakes?